Trying to use the app while traveling and it is just really bad for this experience. Incredibly frustrating. The videos either don’t download, download very slowly, or lie and say they are downloaded and won’t play. On top of that, the streaming barely works. The internet that I have access to are not my usual speeds, but they are plenty to play YouTube and Netflix videos. 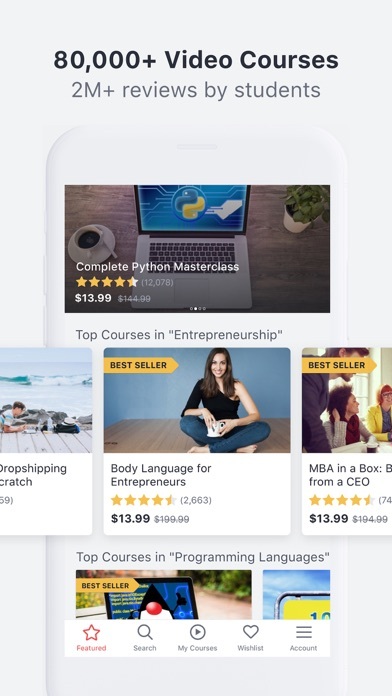 So, not really sure what the problem with Udemy is. The iOS app could use some work. I mostly take programming courses, so I end up watching on my iPad so I can use my computer to follow along. When it works, it’s ok, but there’s tons of issues. One big one is that if you stop and the screen goes to sleep, when you turn it back on, the video plays with no picture, and there’s no way to fix besides restarting the app. Also, sometimes in full screen mode, the orientation will flip 180 degrees and there’s nothing you can do. Nothing huge, but very irritating. 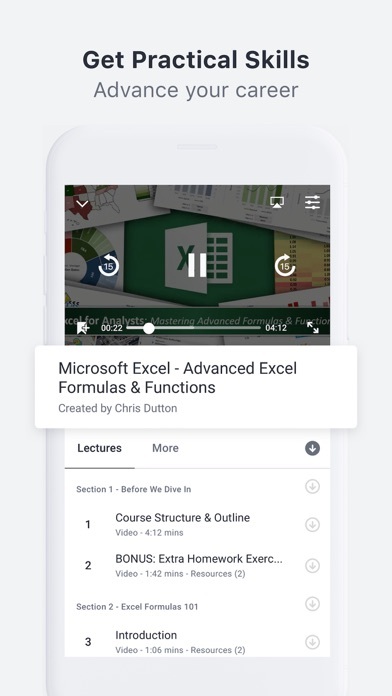 When scrolling through courses in “Students are Viewing”, or any other category, there seems to be somewhat of an offset. 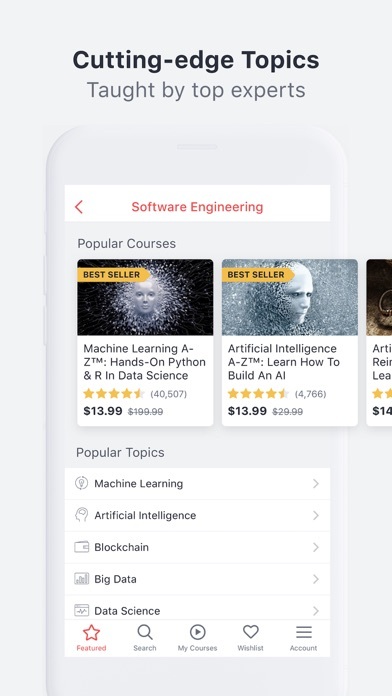 When I select a course, it opens the details for the course listed below it. I also have videos freeze up when my phone locks and I unlock it. Other than that, not a bad app. Been using it for years. 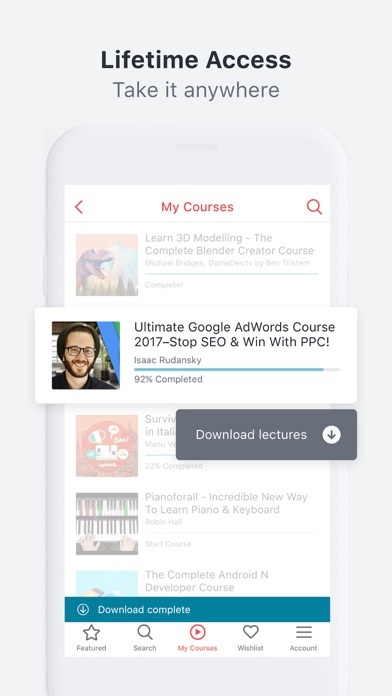 On desktop Udemy has good UX, but on phone when something is loading it blocks app, I can't even scroll or navigate to other tab. Fix it, it's bad UX.